Ding Emperor specialized in Taiwanese Spicy Hot Pot and offers a la carte steamboat concept. The word “Ding” trace back to its root in the Ancient Han Dynasty, this uniquely carved round bronze ware symbols the royalty are often used as cooking utensils and meat storage. Ding Emperor Steamboat starts with a varied selection of soup base – Chinese Cabbage, Spicy Hot Pot, Twin Flavour. For diners who could not handle spicy flavour but wish to sample the hot pot. Fret not, Ding Emperor able to adjust the soup spicy level according to diner needs. A wide range of sauces and condiments are available at the Sauce Station – Chilli Sauce, Sambal Sauce, Spring Onion, Cilantro, Garlic and Soy Sauce. Delectable Carrot Radish Pickle also being served as an appetizer. The Pork Neck Slices RM15.90 and Lamb Slices RM15.90 is the regular succulent meat cut in Ding Emperor. For a more divine taste, Ding Emperor serves Meltique Beef Slices RM29.90 (Steamboat Wagyu Cut) which originates from Australia and filled with perfect marbling all around the meat. A perfect way to cook these meat slices is to soak into the hot boiling soup for about 10 seconds while holding with chopsticks (to avoid meat overcook) then dip with favourite sauces or savour right away. Chinese Dumpling RM8.90 and Shrimp Mixed Fish Paste RM15.90 are Ding Emperor Specialty Dishes. Shrimp Mixed Fish Paste crowned as the most recommended dish is flavorful and eat bite surrounds with bits of fresh shrimp within the fish paste. The Famous Meat Ball Trio is none other than Homemade Beef Ball RM8.90, Homemade Iberico Pork Ball RM8.90, Bursting Pork Ball RM7.90 in Ding Emperor. Homemade Iberico Pork Ball stands out really well with the help of aromatic chopped cilantro and spring onion. Overall meatball tastes heavenly especially with a dip of Ding Emperor Special Chili Sauce. 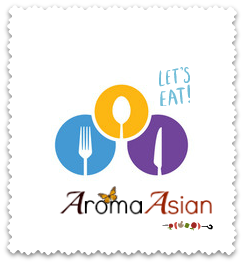 A free flow of Hot Oolong Tea RM2.90 per pax is the best option to end a delightful meal. Not only the tea can clear the greasy taste in the palate but also helps in the digestive system. Ding Emperor also offers a cosy environment to enhance diners experience, so why not sit back and stay relax with few sips of tea for a bit. Address: 58G & 59G, Jalan SS2/67, SS 2, Petaling Jaya.